Hi there! 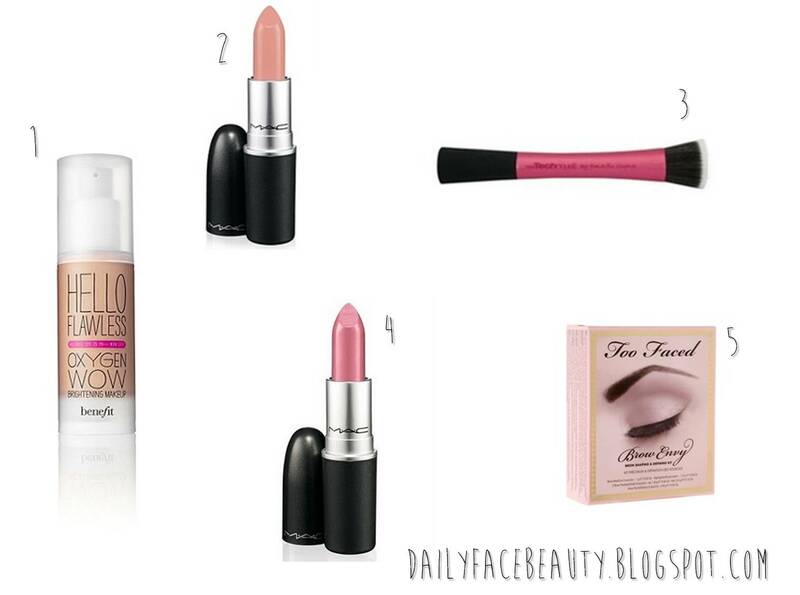 So today I thought I would show you some of the products I have been lusting after lately. Ever since I went to my first benefit counter and brought the porefessional primer (which is great by the way) I have been obsessed with Benefit products.I think when I have fully finished my current foundation,Bourjois Healthy Mix, I am going to go and get this one I think as I have been looking for a suitable foundation with added SPF. I have been umming and ahhhing over whether to buy this lipstick.I already own a very similiar lipstick in the colour Hue.However, what attracts me to this lipstick is the peachy undertones which I think will make this the perfect summer lipstick. I have never used a brush to apply my foundation before but after seeing Missglamorazzi on youtube say how much she like this brush it has been a brush placed firmly on my wish list. Just a side note real techniques brushes are lovely brushes if any of you are interested, and I already have the blush brush which is great for applying powder blushers. I just cannot decide between this and Shy Girl.I think this is a lovely colour and I discovered it when looking for a similar colour to Hanna in Pretty Little Liars. I have been having a love hate relationship with my brows lately.I just love how this kit has three sets of stencils for fool proof brows - which is ideal for me as I find shaping brows really tricky as they frame your face. Amazing wishlist dear! I have been wanting Benefit's 'Dandelion' blush!